The jewelry trend lately has been all about layers: layered necklaces, lots of rings and stacks of bracelets. 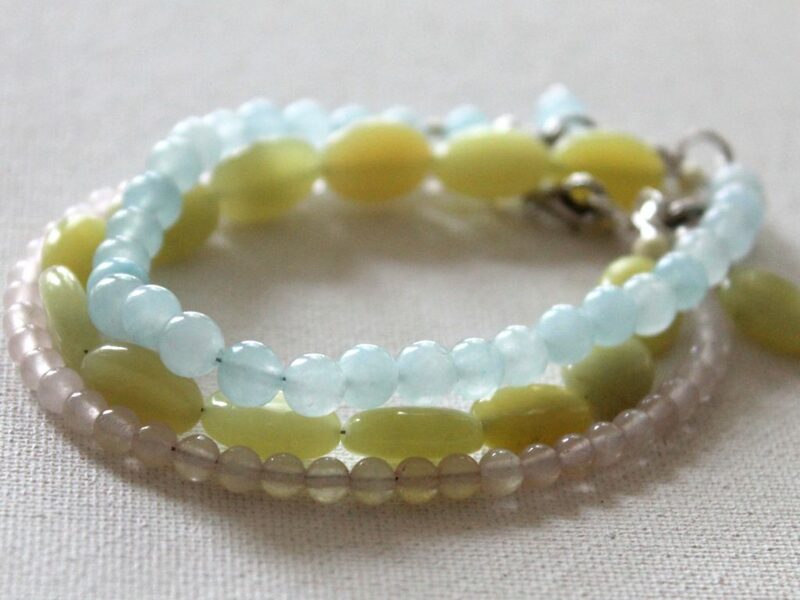 I love making bracelets, so this trend is the perfect opportunity to make a bunch and pile them on! Don’t get too caught up in making things matchy-matchy (unless you really love matchy-matchy.) Just make a bunch that go together. Most of them I made and one I purchased. Chain tassel bracelet – I purchased it at a thrift store or used jewelry sale. 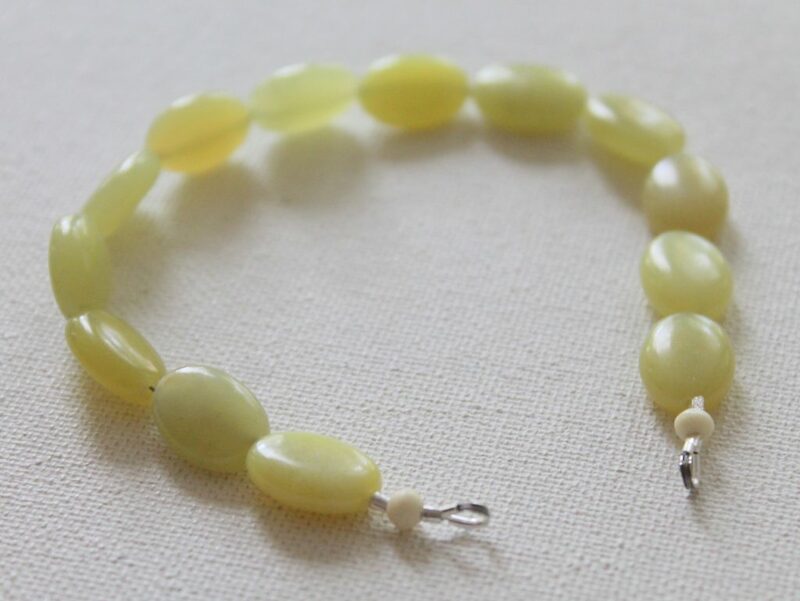 Yellow beaded bracelet – you’ll learn how to make that in this post and video. Blue beaded bracelet – same technique as you’ll learn in this post and video. Knotted Link Bracelet – so much fun to make! I have a workshop here that teaches you the technique. 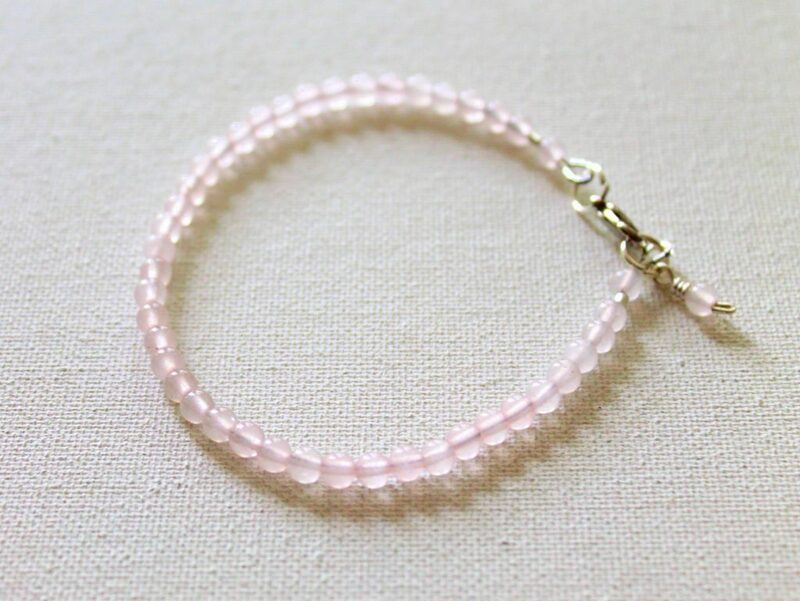 Pink beaded bracelet – another bracelet that was made with the technique I teach in this post. 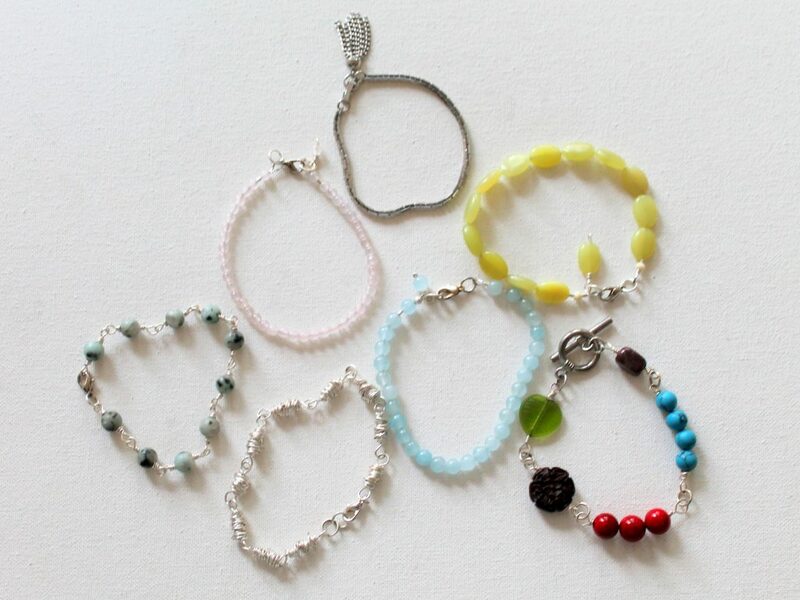 As you see, you can really decide on any given day how you want to express yourself by changing your bracelets. I didn’t make these bracelets to go with each other; I just go through my bracelets and decide what I feel like wearing today. 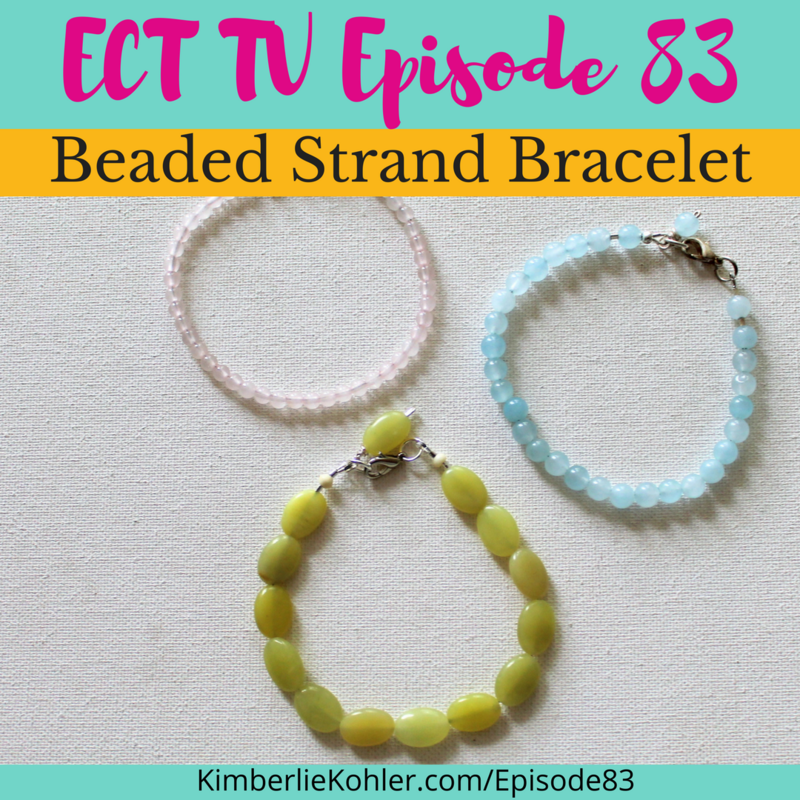 In today’s episode of Emerging Creatively Tutorials TV (ECT TV), I’ll show you how to make a beaded strand bracelet with a bead dangle. 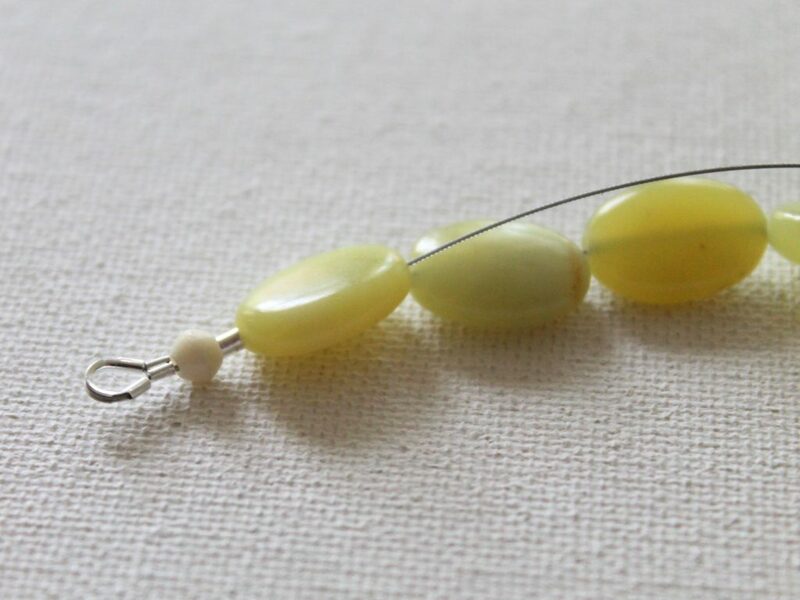 How to make a simple bead dangle. 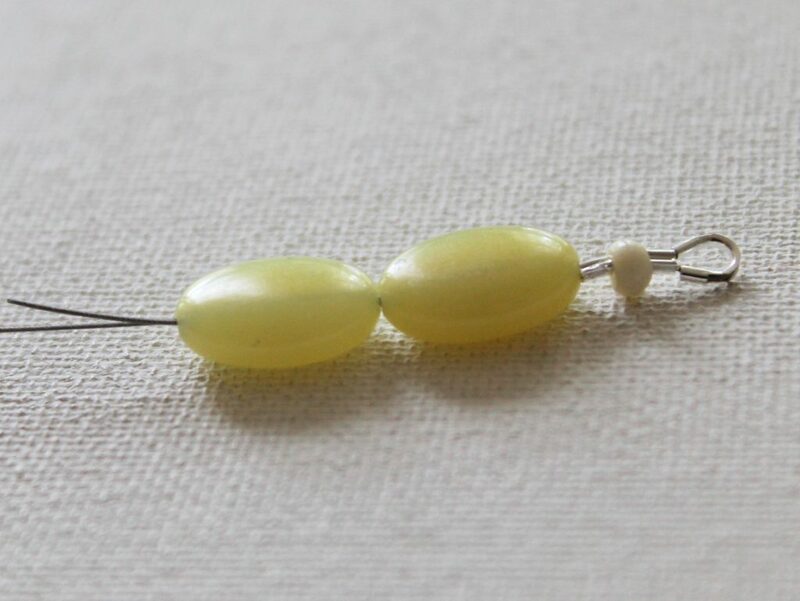 * Beading wire – I like to use 49 strands because (as I explain in the video) it’s the strongest and also drapes nicely. Use the best you can for your budget. 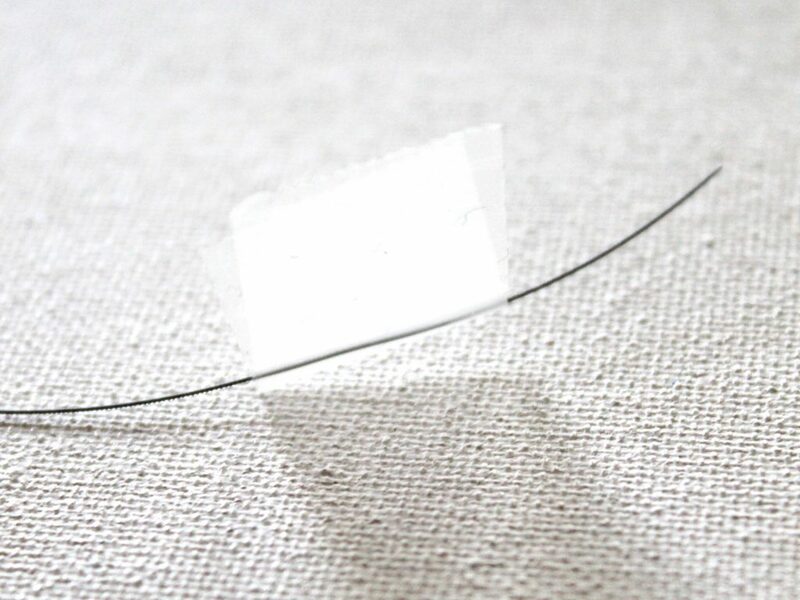 If you do not want to use wire guards, see this tutorial instead. 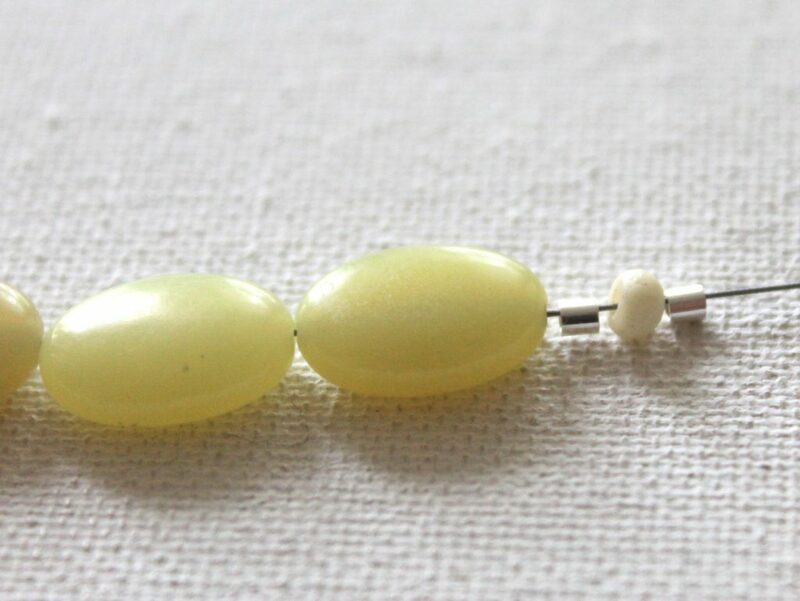 The bead dangle is optional (but really cute!) 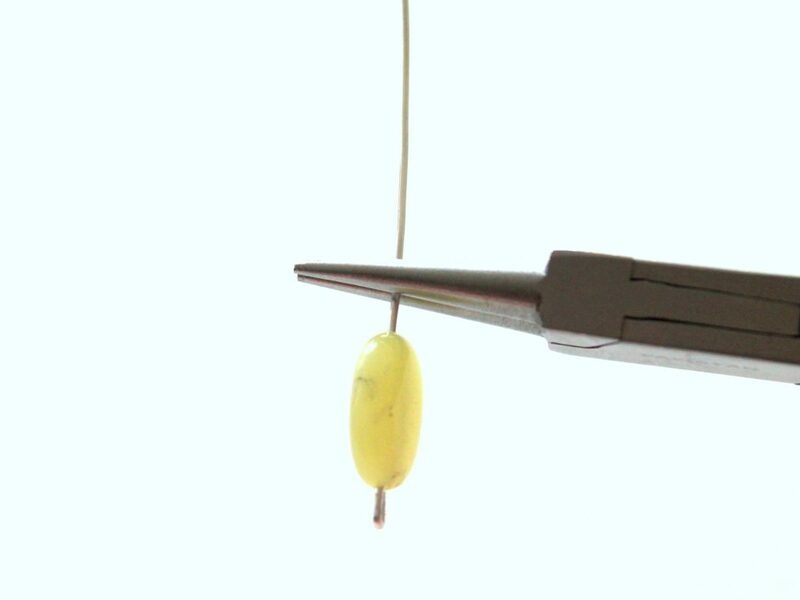 If you choose not to make the bead dangle, you won’t need round nose pliers or the 20 gauge wire. Cut enough beading wire to go around your wrist plus about 6 additional inches. Note: I’m just using one type of bead for my entire bracelet, so I’m just going to string them on. 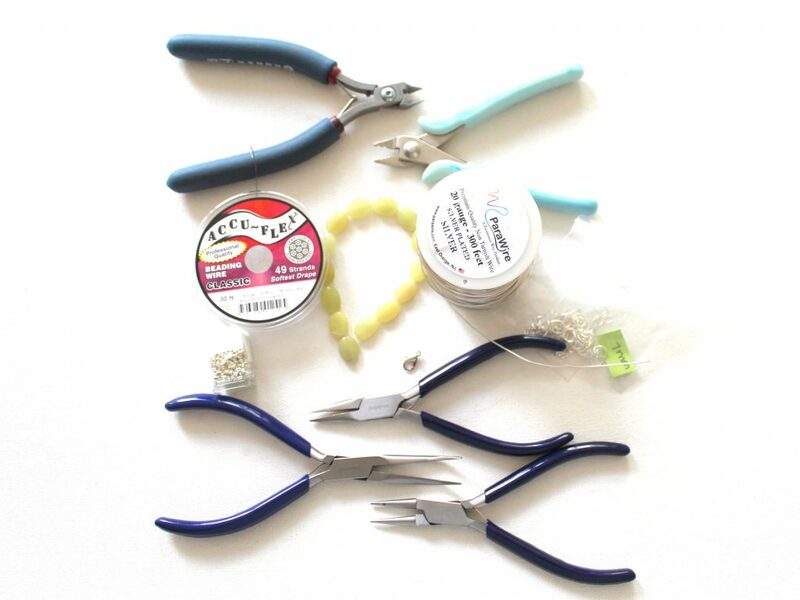 If you’re using a combination of beads or making a design, figure that out now. String on as many beads as you need. 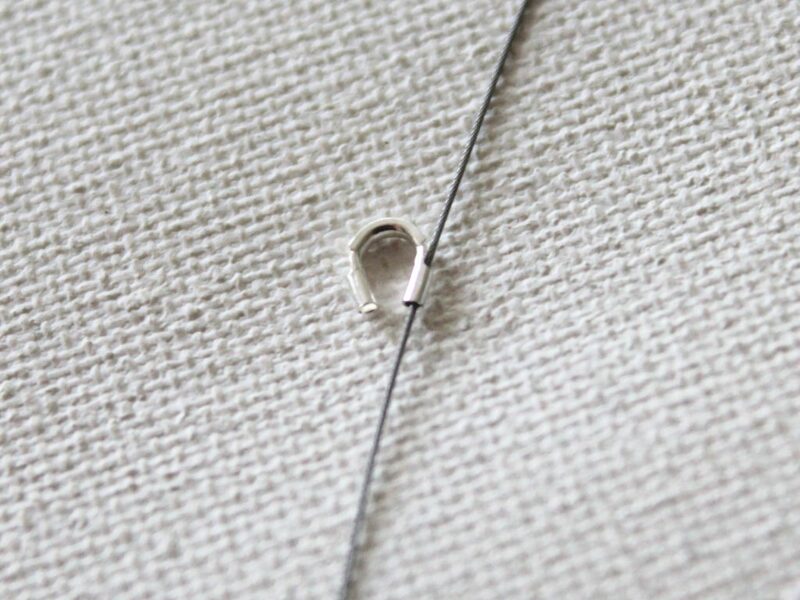 To figure out the correct size, measure a bracelet you already have that is the right size and then subtract the length of the clasp you’re using plus the length of the wire guards on each side. 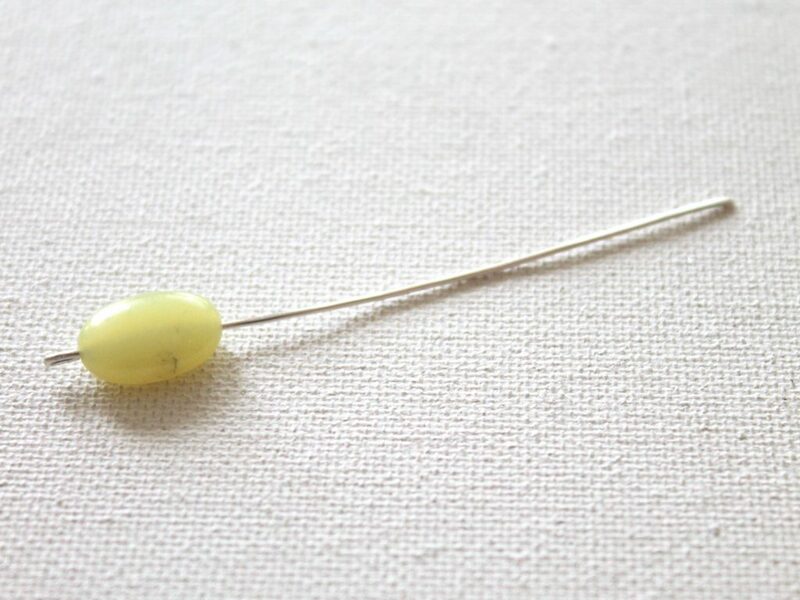 Slide a crimp bead, a small bead and another crimp bead onto the wire. Note: I like to use two crimp beads on each side when I’m stringing. Other people use only one. 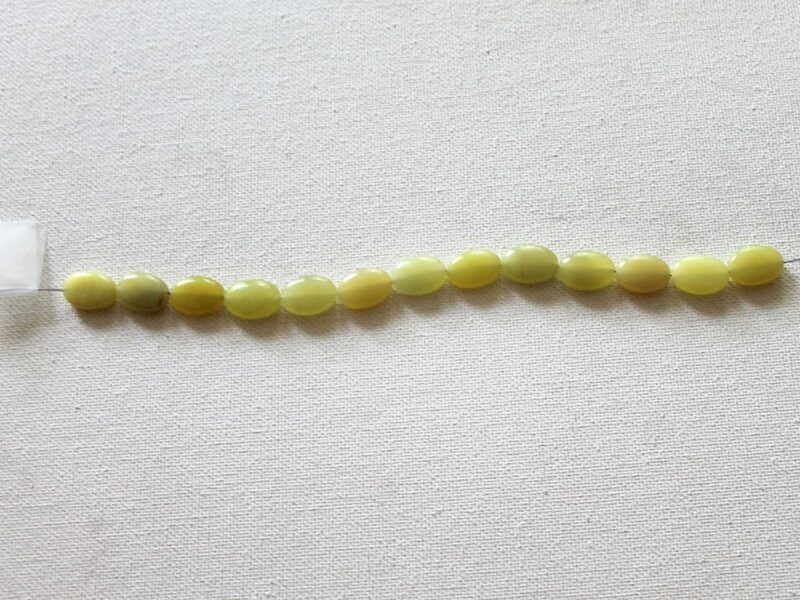 In the video my beads were smaller and I just used the same bead in between the crimp beads. 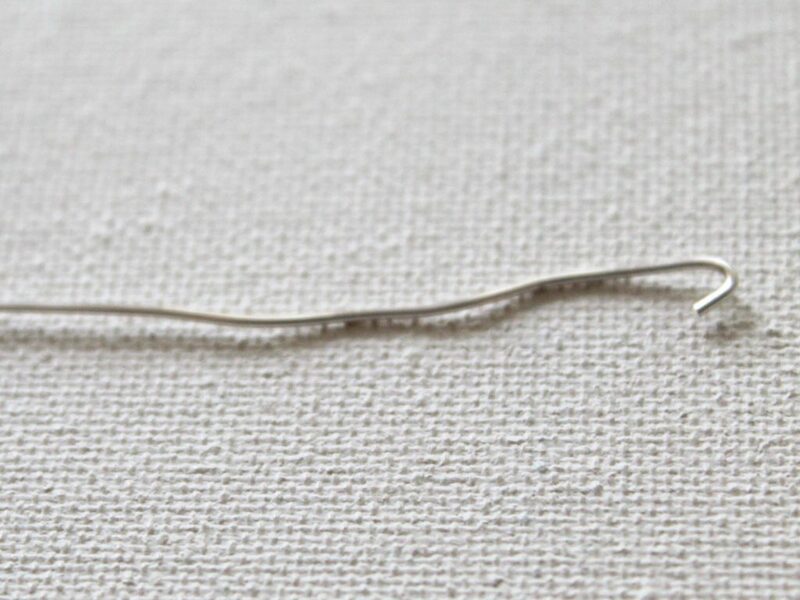 Thread the wire guard onto the wire. Go up through one tube around the top and back down through the other tube. Then thread the wire through the crimp bead, bead and second crimp bead. Pull the wire snug. 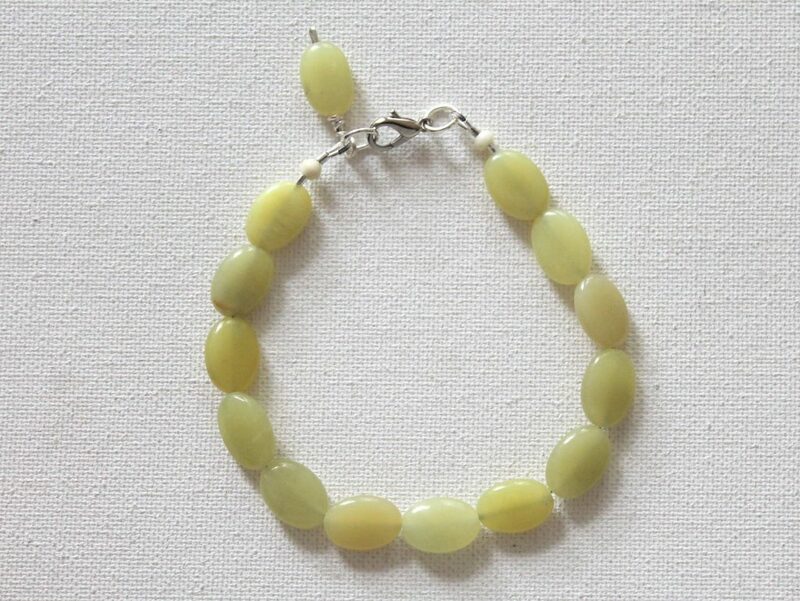 You’ll also want to pull the wire through the first couple of beads of the bracelet as well. Crimp the crimp beads closed. First hold the crimp bead in the larger notch closer to the handle of the crimp tool and squeeze the crimp bead closed. You’ll see a crease in the bead. 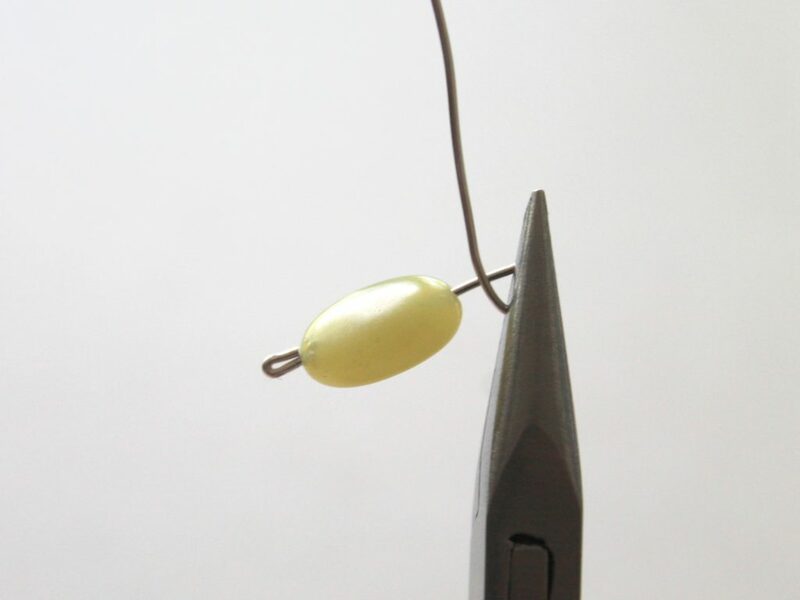 Then hold the bead in the smaller notch closer to the tip of the crimp tool and close the crimp bead. 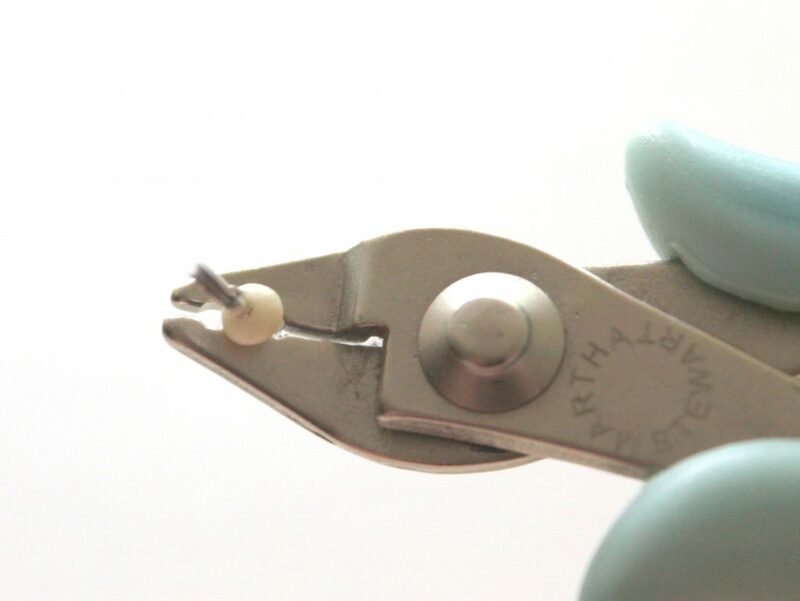 The crimp bead will fold in half at the crease you made with the first crimp. 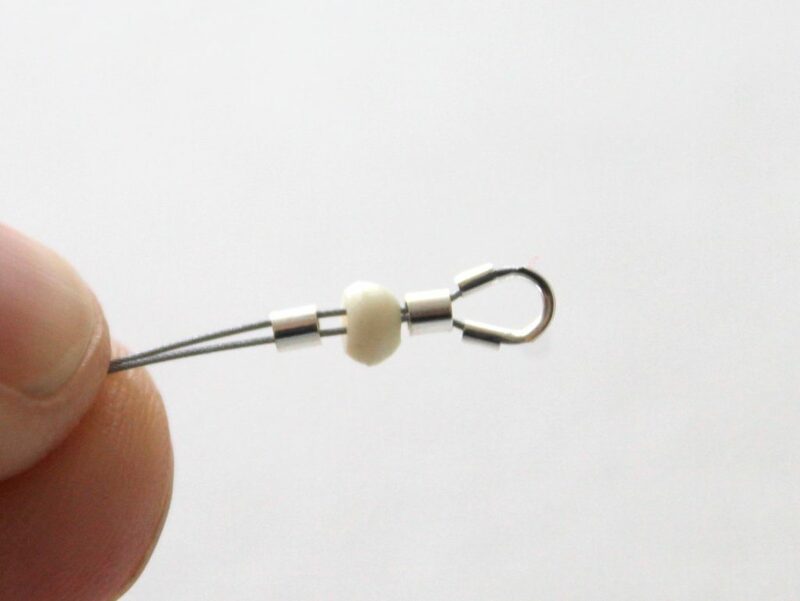 Repeat on the other side and trim off any excess wire as close to the beads as you can get. 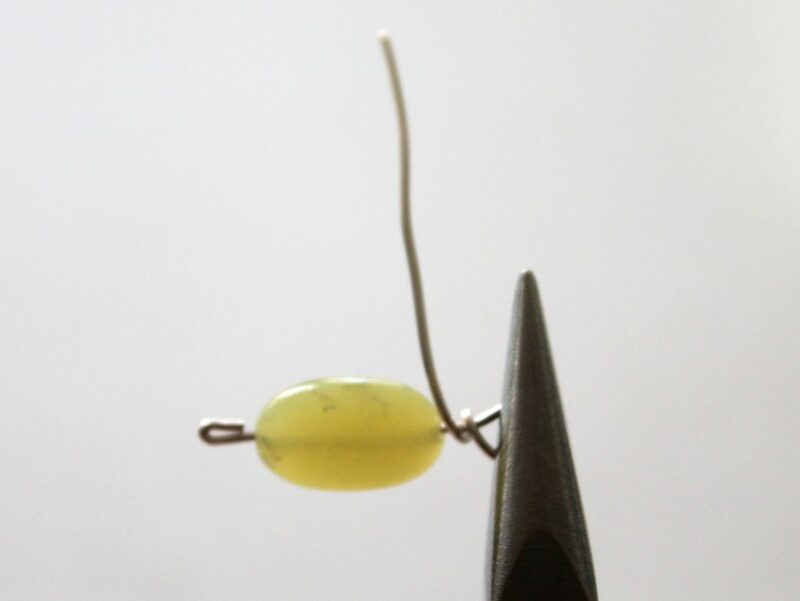 Cut a piece of 20 gauge, half-hard, round wire about 3 inches longer than your bead. Make sure to make a flush cut. 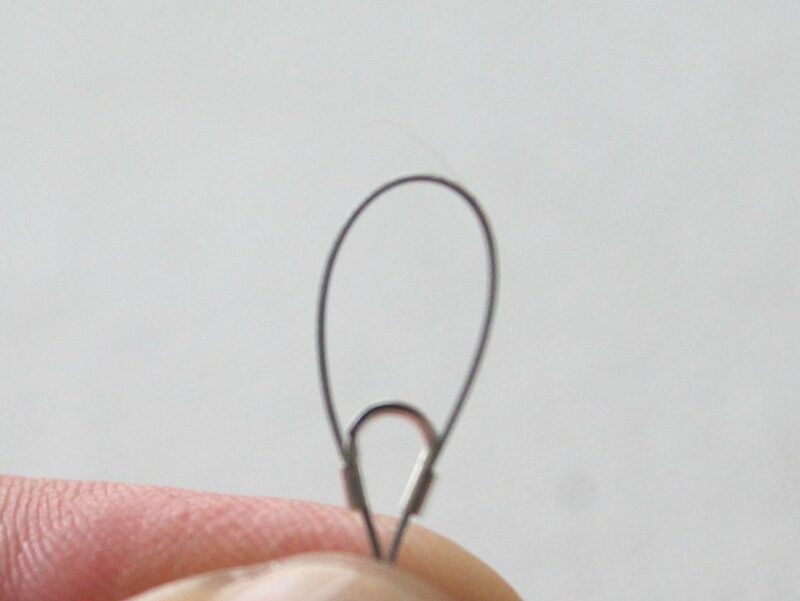 Hold the wire at the tip with chain nose pliers. Make a bend in the wire. Then push that bend down. 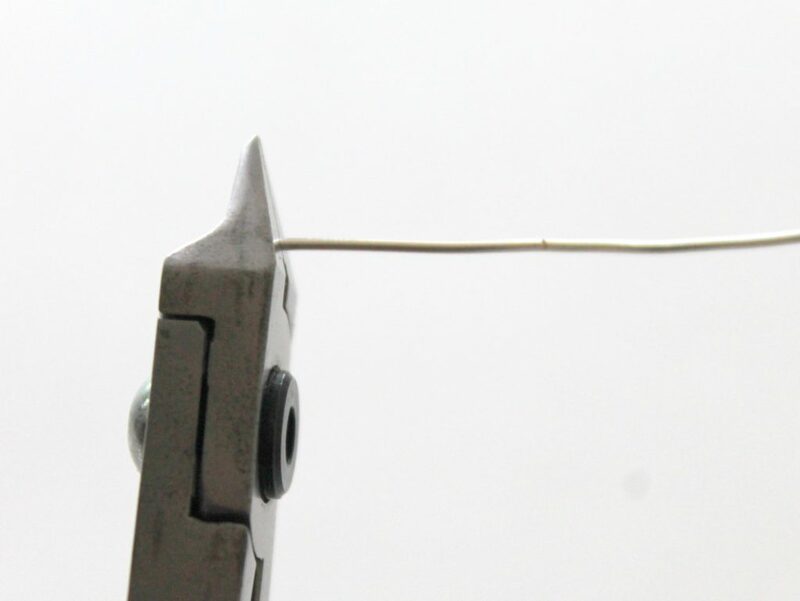 You can use chain nose pliers for this, but your crimp tool makes it really easy. 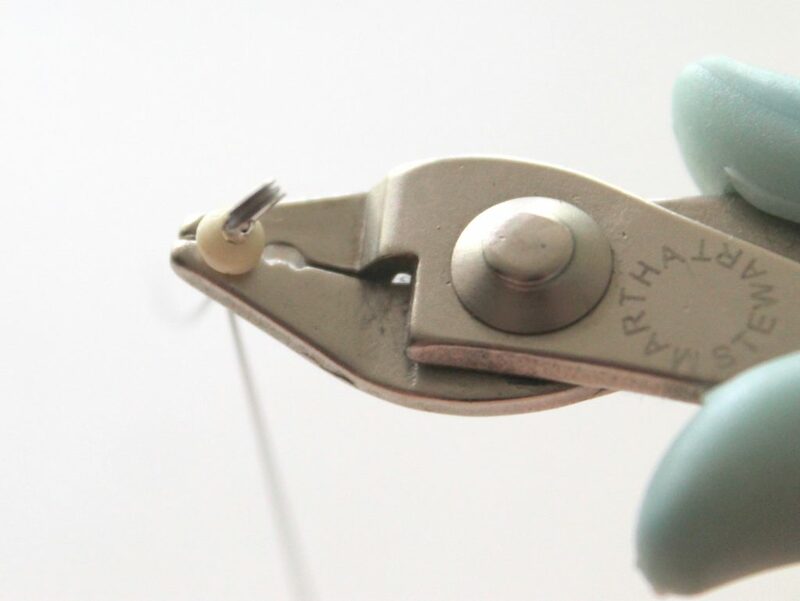 Hold the wire in round nose pliers about 1/4 inch above the bead. 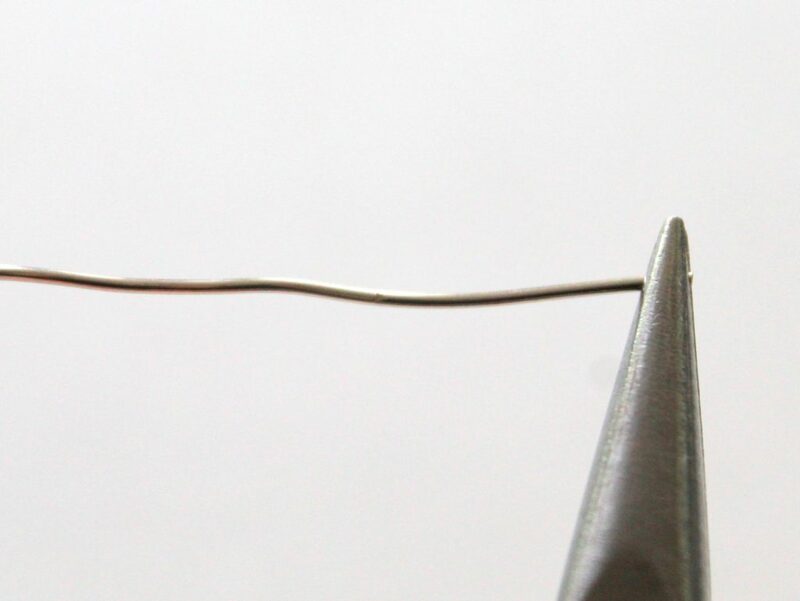 Wrap the wire around the pliers forming a loop. .The loop will be off-center. 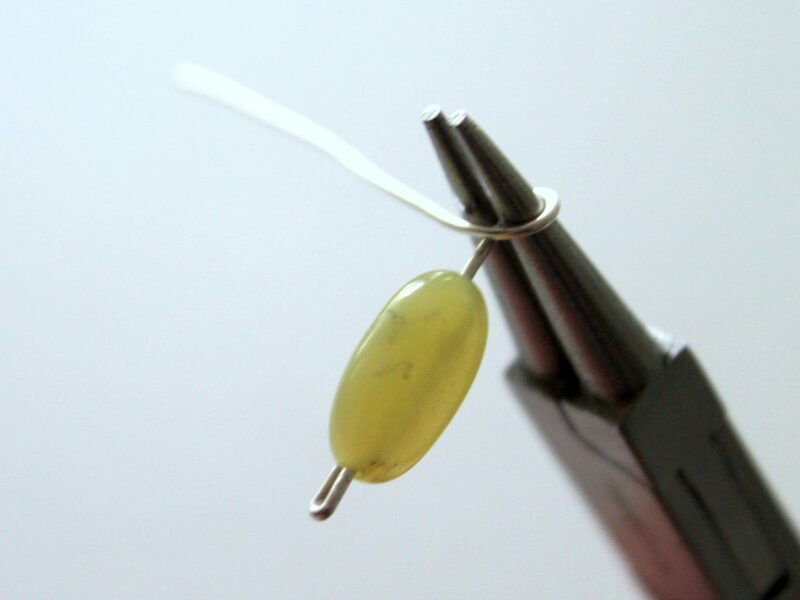 Hold it in chain nose pliers and while you wrap the wire around one time pull the bead out straight so the loop is centered on top of the bead. Then wrap 2 more times. 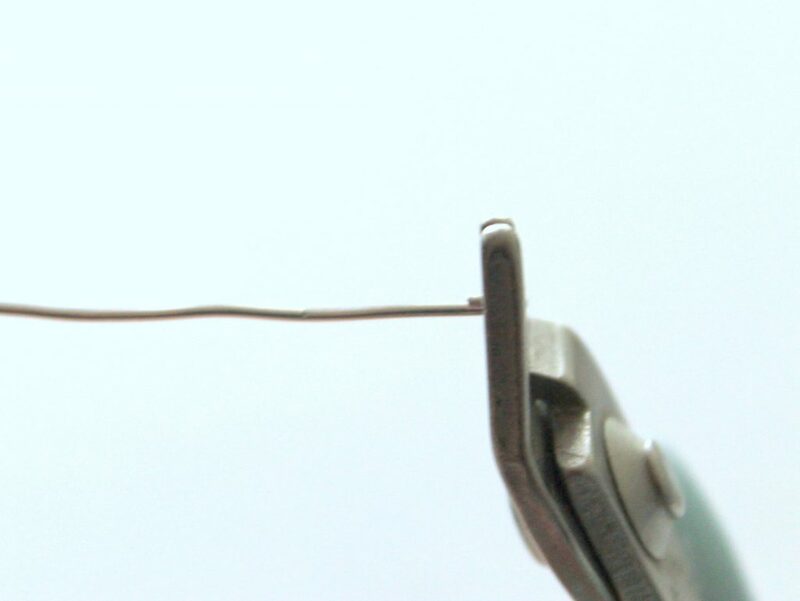 Trim off the excess wire and make sure the end is not poking out. 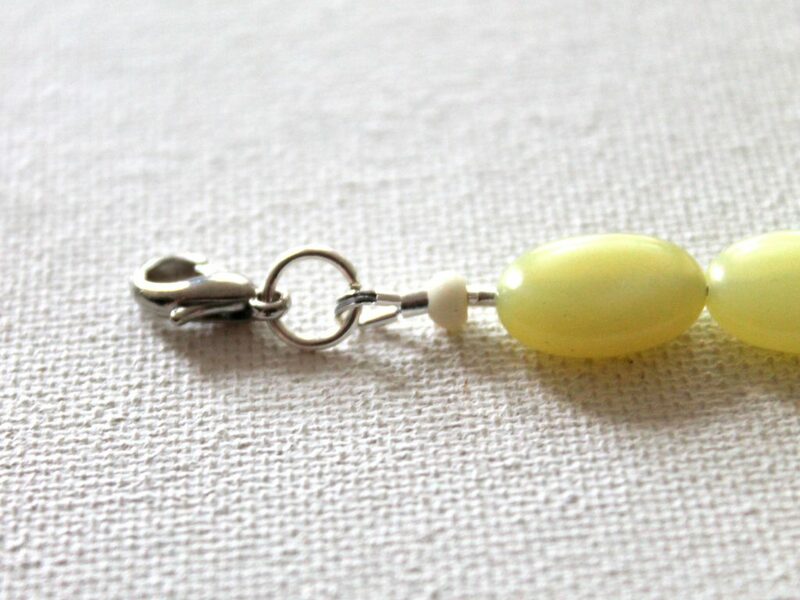 Attach the bead dangle to the end of the beaded strand. Attach the lobster clasp to the other end. Now you can make a bunch and wear them stacked up in any combination you like. 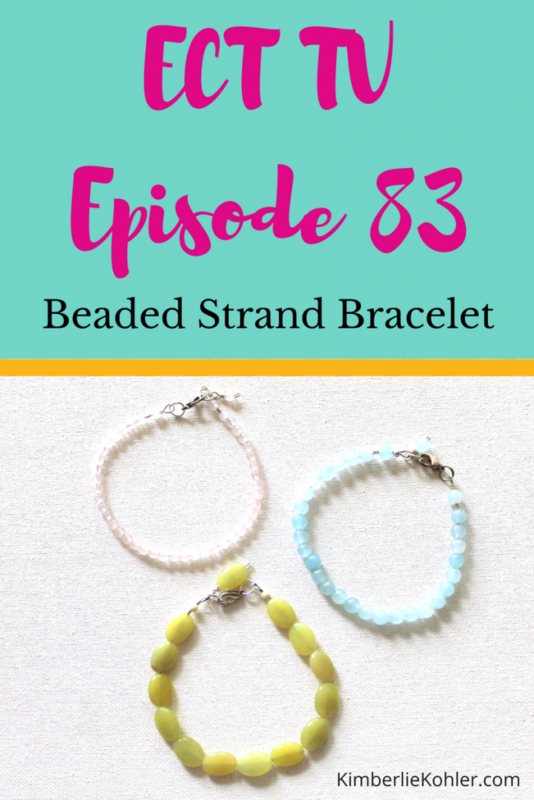 I like the option of making different single stand bracelets (as opposed to making one bracelet that has several strands) because you can mix and match and change it up every day. Have fun and get creative! Let me know if you have any questions! Note: These are exactly the same instructions as you have above here for free; however, it’s in PDF form so you can easily save it or print it if you like. Thank you for your support!! Step-by-step photo and written instructions for ECT TV Episode 83. I hope you enjoyed this tutorial. 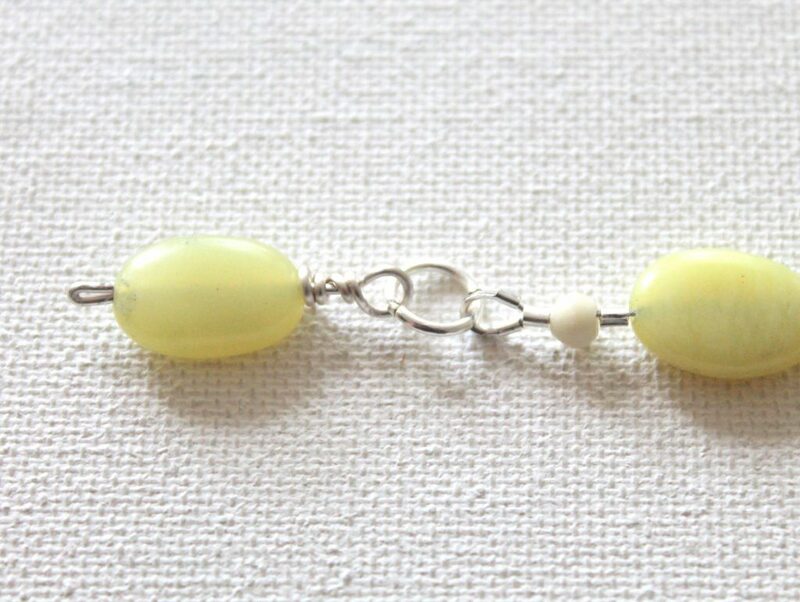 If you liked it, you’ll love my other online workshops, especially the Decorative Wire Wrapped Bracelet Workshop! Take them at your own pace in the privacy of your own home! You always can email me with any questions or if you get stuck along the way. Check out all of my online workshops here.